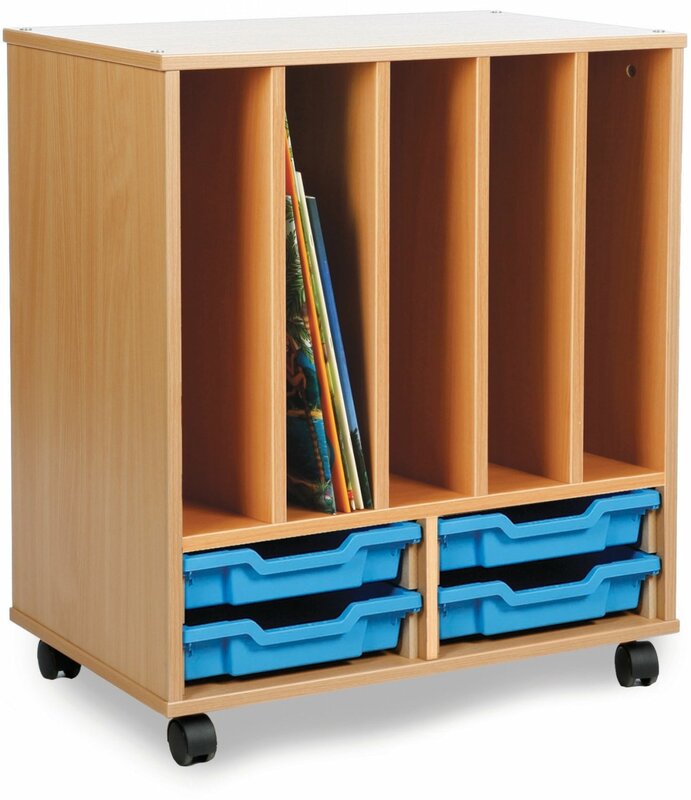 Unit supplied with five compartments for holding books. 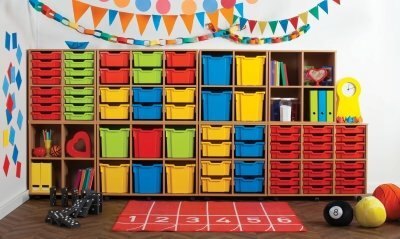 Unit supplied with four shallow trays. Units are stackable and connect in any combination.